A SpaceX Falcon 9 rocket sporting a fresh cleaning and several refurbishments took off Thursday from a seaside launch pad in Florida to send an SES communications satellite into space, then landed on a platform in the Atlantic Ocean to repeat a feat the same booster achieved nearly one year ago. The success buoys SpaceX’s ambition to eventually land and launch rockets routinely, and at a fraction of the cost of current launch vehicles, according to Elon Musk, the tech entrepreneur who founded the space company in 2002. “This represents the culmination of 15 years of work at SpaceX to be able to refly a rocket booster,” Musk told reporters Thursday night. The first stage provides the bulk of the energy needed to put an object into orbit, and Musk said it is responsible for up to 70 percent of the total cost of a rocket flight. “The most expensive part of the whole mission, from a launch standpoint, is the boost stage,” Musk said. Thundering away from launch pad 39A at NASA’s Kennedy Space Center, the two-stage rocket turned east over the Atlantic Ocean, climbing into a cloudless early evening sky after blasting off at 6:27 p.m. EDT (2227 GMT). 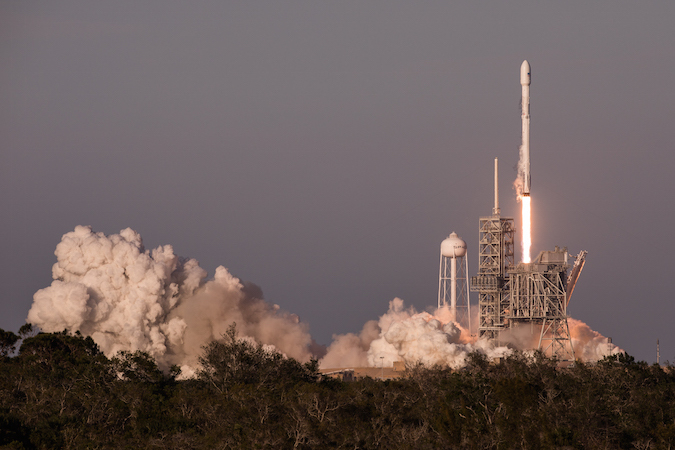 The first stage of the Falcon 9, driven by nine kerosene-burning Merlin 1D main engines, was the star of the show, making a historic relaunch after SpaceX recovered the booster on a mission last April. The rocket stage performed well, officials said, dropping away from the upper part of the Falcon 9 launcher less than three minutes after liftoff. The Falcon 9’s first stage stands about 156 feet (47 meters) tall and 12 feet (3.7 meters) in diameter. Its nine Merlin engines put out about 1.7 million pounds of thrust at full throttle. The first stage that flew Thursday logged nearly nine minutes of flight time during a space station resupply launch on April 8, 2016, soaring above the 62-mile-high (100-kilometer) internationally-recognized boundary of space before descending to a vertical landing on a platform in the Atlantic Ocean. The previously-flown booster, designated No. 21 in SpaceX’s fleet of Falcon rocket cores, pulled off an almost identical feat Thursday, launching and landing as the Falcon 9’s expendable upper stage maneuvered in space to deploy the SES 10 communications satellite. 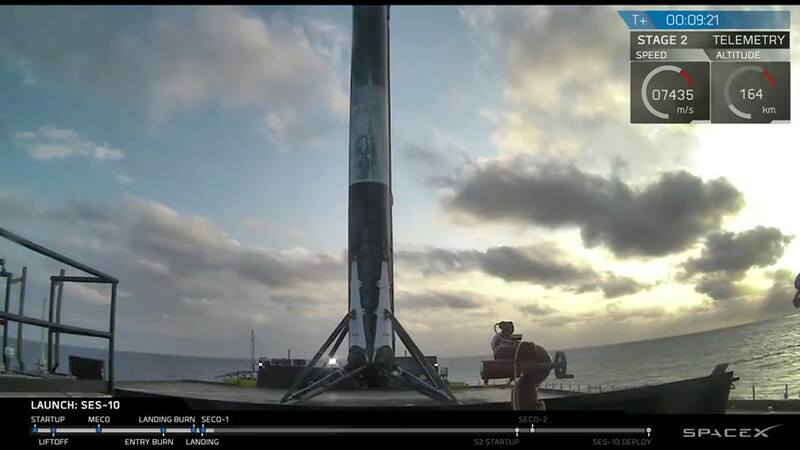 Touchdown on SpaceX’s sea-based landing platform occurred around 340 miles (550 kilometers) east of Cape Canaveral, just as the second stage engine placed SES 10 into a low-altitude parking orbit. The second stage reignited for nearly a minute at 2253 GMT (6:53 p.m. EDT) to push the 11,644-pound (5,282-kilogram) SES 10 spacecraft, built by Airbus Defense and Space, into the correct egg-shaped geostationary transfer orbit. 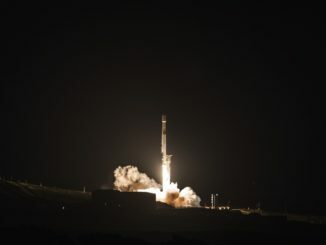 The rocket’s navigation computer targeted an orbit with a high point of 22,002 miles (35,410 kilometers), a low point of 135 miles (218 kilometers) and an inclination of 26.2 degrees. 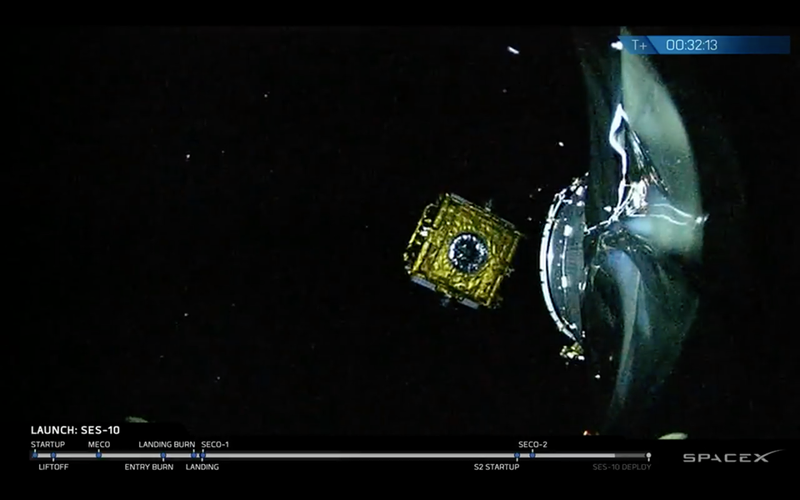 Spacecraft separation was confirmed at T+plus 32 minutes, and a rocket-mounted camera streamed down a live view of the SES 10 satellite receding into space. SES officials confirmed the satellite was in a good orbit and communicating with ground controllers as anticipated. SES 10’s own engine will raise its orbit to geostationary altitude of nearly 22,300 miles (about 35,800 kilometers) over the equator in April. At that altitude, SES 10 will move around Earth at the same speed the planet rotates, allowing it to remain in a fixed geographic location. 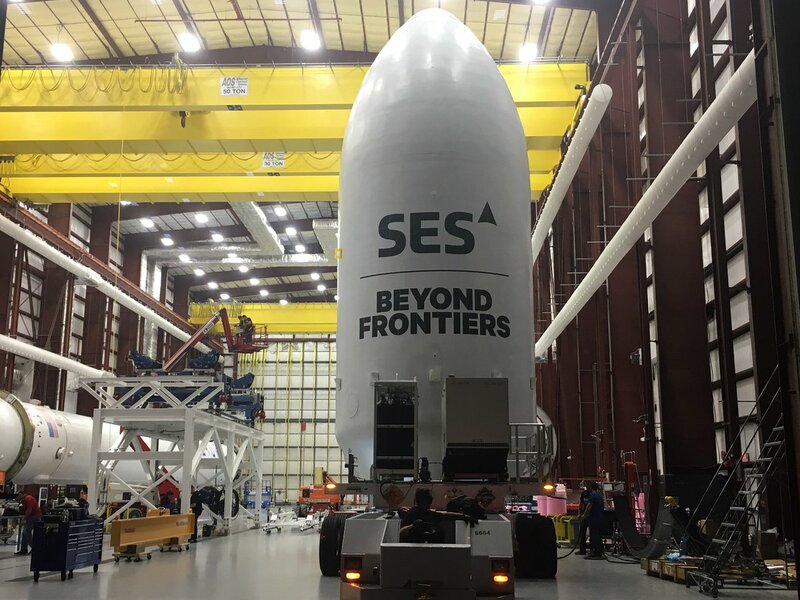 Once it completes in-orbit testing, SES 10 should be operational by mid-May in a slot at 67 degrees west longitude, giving the spacecraft’s antennas and Ku-band transponders visibility from Mexico and the Caribbean to the southern tip of Argentina. Designed from the start to be partially reusable, SpaceX’s Falcon 9 rockets have flown 32 times with the conclusion of Thursday’s mission. On those 32 flights, SpaceX has tried to recover the first stage — either at sea or back at Cape Canaveral — on 14 occasions with nine intact landings. Thursday was the first time SpaceX attempted to relaunch one of the previously-flown boosters in the company’s inventory. “It’s really a great day, not just for SpaceX, but for the space industry as a whole, proving something can be done that many people said was impossible,” Musk said. 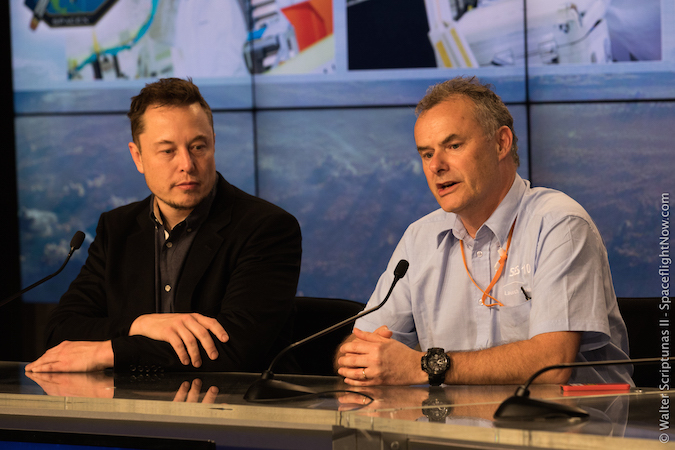 Halliwell represents one of SpaceX’s major commercial customers. He is also one of SpaceX’s biggest cheerleaders in the satellite industry. SpaceX engineers refurbished the first stage last year, taking several months to fully inspect components, replace some hardware, and put the booster through a new round of hotfire testing at the company’s development site in Central Texas. “With this being the first reflight, we were incredibly paranoid about everything,” Musk said. “The core airframe remained the same, the engines remained the same, but any sort of auxiliary components that we thought might be slightly questionable, we changed out,” Musk said. 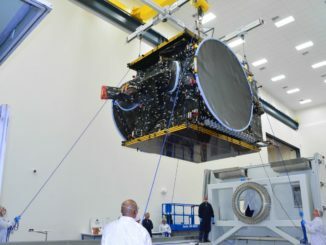 SES announced in August an agreement to place the SES 10 satellite on the first reused Falcon 9 booster, days before a Falcon 9 rocket exploded on the Complex 40 launch pad at Cape Canaveral Air Force Station, grounding SpaceX missions more than four months and expediting the company’s plans to begin launching off nearby pad 39A on NASA property. But SES, operator of around 57 satellites currently in orbit with the launch of SES 10, stuck by its commitment to purchase a flight of a reused rocket. SpaceX intends to cut down on the refurbishment and hardware swapouts on future reused rockets. Design upgrades are coming soon to address several weak points, such as the booster’s steering grid fins, which are prone to heating and can catch fire in flight. “The next thing is to try and figure out how do we achieve very rapid reuse with minimal refurbishment, and without any sort of hardware changes on the vehicle,” Musk said. SpaceX hoped to re-fly this booster last year, but the extensive inspections and refurbishment, coupled with the ground of the the Falcon 9 fleet late last year, delayed the SES 10 launch to March. Officials have not disclosed how much of a discount SES received to be the first customer to fly on one of SpaceX’s reused boosters. Musk aims for a 100-fold reduction in launch costs in the long run, but the pricing effects will be more modest in the beginning. Gwynne Shotwell, SpaceX’s president and chief operating officer, said last year the company will initially offer a 10 percent discount to clients willing to put their payloads on previously-flown rockets. “It will be a meaningful discount,” Musk said, without citing a number. “We’ll figure out some way to pay off the development costs of reusability, so the price discount won’t be as much as the cost savings because we need to repay the massive development cost. “But it will certainly be less than the price of our current rockets, and will be far lower than any other rocket in the world,” Musk added. SpaceX says a regular commercial launch of a Falcon 9 rocket now costs about $62 million, already making it the least expensive option in its lift category. 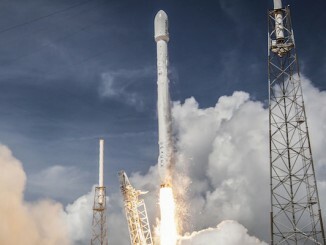 Musk said SpaceX made the Falcon 9 rocket’s first stage reusable with entirely private funding, investing at least $1 billion in the effort through development of sophisticated guidance algorithms, heat shields, propulsive steering capabilities, and the outfitting of mobile ocean-going platforms as landing targets. Thursday’s launch also got SpaceX closer to recovering and reusing the Falcon 9’s payload fairing, the clamshell-like nose shroud that covers satellites during the first few minutes of flight. 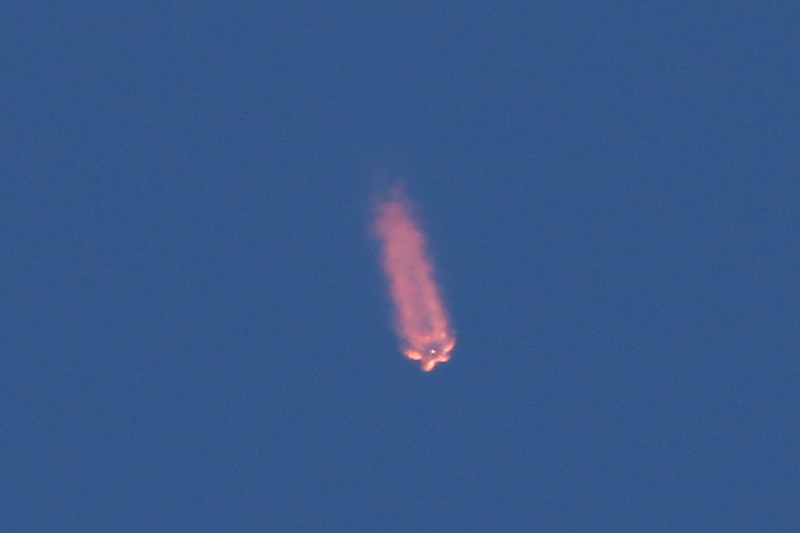 Musk said one-half of the fairing launched with SES 10 landed intact in the Atlantic Ocean. “That’s definitely the cherry on the cake,” Musk said. According to Musk, the fairing costs about $6 million to produce. He said the fairing recovery plan is “looking quite promising” after several years of experimenting with the technique. “What we’ll have is kind of like a bouncy castle for it to land on, and we aim to reuse the fairing as well,” Musk said. The first stage that landed offshore Thursday will return to Port Canaveral in a few days. Musk said the booster will be retired from service and put on display somewhere at Cape Canaveral. “Assuming the fairing reuse works out, and as we optimize the cost of reusing the booster, you’re really looking at maybe three-quarters of the rocket cost dropping by an order of magnitude, and maybe more,” Musk said. NASA’s space shuttle orbiters and segments of their solid rocket boosters flew dozens of times, but they took months to reconfigure between missions at significant cost, requiring thousands of engineers and technicians in hands-on jobs and in support roles. SpaceX is emphasizing rapid reuse, and other launch firms are trying to catch up. Blue Origin, the space company founded by Amazon.com’s Jeff Bezos, is developing the powerful New Glenn rocket for a maiden flight from Cape Canaveral in 2020. The methane-fueled New Glenn, named for Mercury astronaut John Glenn, will land on an offshore platform for reuse in a manner similar to the concept pioneered by SpaceX. More entrenched rocket companies are taking a more conservative approach to reuse. United Launch Alliance, a 50-50 joint venture between Boeing and Lockheed Martin, is working on the next-generation Vulcan rocket, which is likely to be powered by Blue Origin-built BE-4 engines. The initial Vulcan flights will be expendable, but ULA is studying a way to retrieve the engines with a heat shield and a parachute. Europe’s new Ariane 6 rocket will be single-use when it debuts in 2020, but the European Space Agency, the French space agency CNES and Airbus Safran Launchers have partnered to work on the reusable Prometheus engine, which could be installed on a future European booster outfitted to fly multiple times. ULA and European officials, which oversee rocket programs with near-perfect success records over the last decade, question the economic payoff of reusing rockets, claiming launchers must fly much more often than today to close the business case. “In order to be competitive in launch costs, I think it’s going to be necessary for other launch companies to do the same thing,” Musk said. SpaceX plans to refly up to six used first stage boosters this year. Two of them will launch as side boosters on the maiden flight of SpaceX’s new Falcon Heavy, now set to lift off in “late summer,” Musk said. The triple-body Falcon Heavy is made of three Falcon 9 first stages bolted together. The core will be a new vehicle on the inaugural flight, which will be a purely demonstration of the heavy-lifter. Musk said the test flight will be a “high-risk” mission. Musk said three or four other other customers have agreements to fly on partially reused Falcon 9 rockets that were contingent upon the outcome of Thursday’s mission. “The bottom line is reused rockets are here to stay,” the underwriter said.